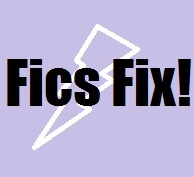 This week's fic is based on the BBC series Merlin. Which you should totally look up if you haven't seen it, because it's a pretty damn cool series. And when the well-written piece is about mental health? Dude, I'm there. But guys: WARNING! This is not a happy fic. It's about depression and includes self-harm, and some physical restraint related to the self-harm. You know what's best for you, but please stop reading/don't start reading if this is going to hurt you and/or your wellbeing, mm'k? Personally though, I found this... honest. As someone with depression, I really could relate to the emotion, even though the circumstances were different to my own. Not sure that the reaction of Merlin's friends (i.e. yelling at him,) is all that healthy. But realistic? Yeah, probably. Honest? Again, yes. Enjoy, take care of yourselves, and I'll see you next week with more fanfiction-y-ness.